One of the hardest tasks that go into writing The GOOD NEWSletter is sifting through the numerous good news that’s out there — not a bad problem to have. This week I focus on some promising new cancer research and treatments. There are a lot of avenues to attack cancer. Unfortunately, it is still common practice to give patients the same chemotherapy poisons I studied in graduate school four decades ago. Fortunately, besides poison, surgery, and radiation, there are newer therapies based on deploying your own immune system, hormone therapy, targetted therapy, precision medicine, and stem cell transplantation. Here’s a good summary of the types. In this issue, learn how breast cancer cells can be tricked into turning into harmless fat, how “off the shelf” cancer-fighting T cells can be manufactured, and how HPV and cervical cancer can be cured. Researchers have discovered how to use one of cancer’s natural processes against itself. In mice implanted with an aggressive form of human breast cancer, researchers from the University of Basel were able to transform breast cancer cells into fat! 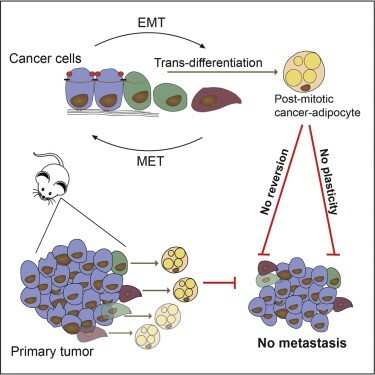 It turns out cancer cells sometimes undergo what’s called an epithelial-mesenchymal transition (EMT) to spread to other parts of the body. They act like stem cells which can change into different types of cells. When they injected the mice with the anti-diabetic drug rosiglitazone and the cancer inhibitor trametinib, cancer cells transformed into fat cells. The breast cancer cells that underwent an EMT not only differentiated into fat cells but also completely stopped proliferating. … What’s more, the primary tumor did not metastasize. Good News: Because both drugs used are already FDA-approved, this unique cancer treatment could have a shorter path to clinical trials. Your immune systems’ T cells (aka T lymphocytes) have potential cancer-killing receptors. However, T cell immunotherapy typically involves collecting T cells from the patient with cancer, engineering them in the lab and transfusing them back into the patient — an expensive and time-consuming process. 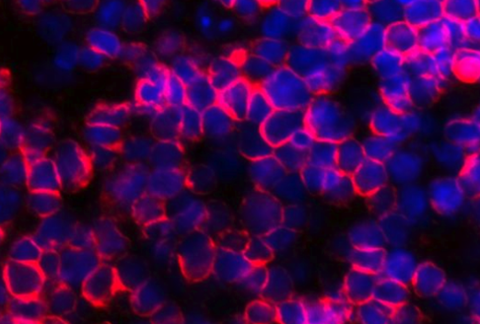 We did this by putting blood stem cells into what we call ‘artificial thymic organoids,’ which are tiny 3D organ-like structures that grow in a dish and essentially mimic the function of the thymus and instruct blood stem cells to become T cells. Up until now there hasn’t been a good way to make fully functional human T cells in the lab, and we think that 3D structure is a critical part of making this work, and something that has been overlooked in the past. Good News: The researchers added a gene for a tumor-targeting T cell receptor to the blood stem cells, enabling ‘off-the-shelf’ T cell therapies for cancer that can be given to anyone who needs them! Future research may offer an unlimited supply of T cells for cancer patients. The World Health Organization says that cervical cancer is quickly growing as a leading cause of death among female cancer patients. Human papillomavirus (HPV) is a common infection throughout the world. Of 100 or more known variants of HPV at least 14 are known to cause cervical cancer. 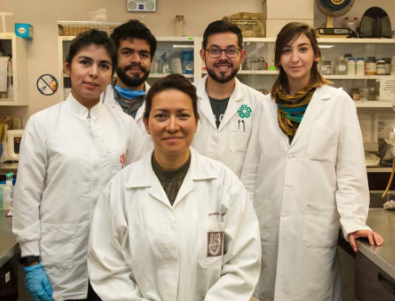 Dr. Eva Ramon Gallegos with her team of researchers in Mexico have found a cure for the cancer-causing HPV infection that may put an end to cervical cancer. This was done using a non-invasive treatment called photodynamic therapy that uses a drug, known as the ‘photosensitizer’, and light of a specific wavelength depending on the drug compound. I’ve cited just three of the cancer research labs out of thousands across the globe that use modern technologies to accelerate the formulation and testing of new cancer-fighting therapies. I’m optimistic that we can finally retire the indiscriminate chemotherapies that have improved survival rates at the cost of painful or damaging side effects.